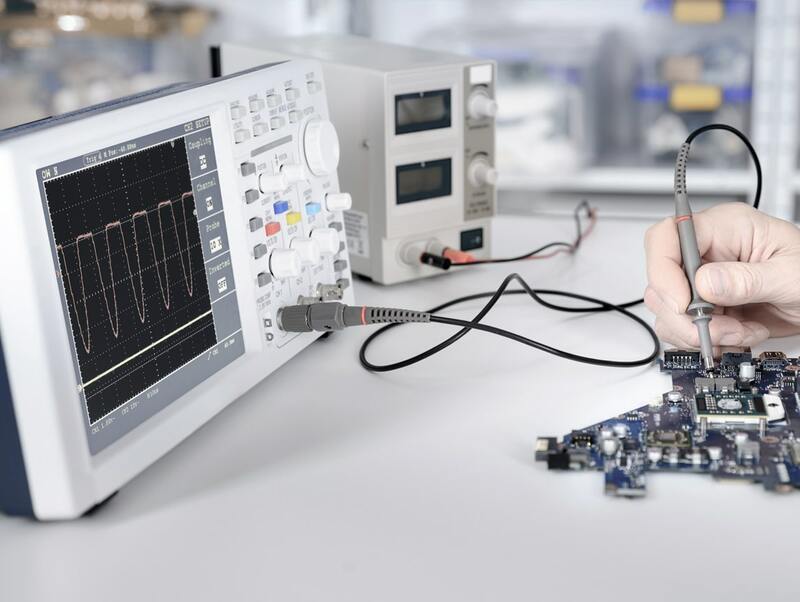 Our ISO 17025 accredited laboratory upholds the highest requirements and principles under this exacting quality system and is symbolic of our commitment to precision calibration. 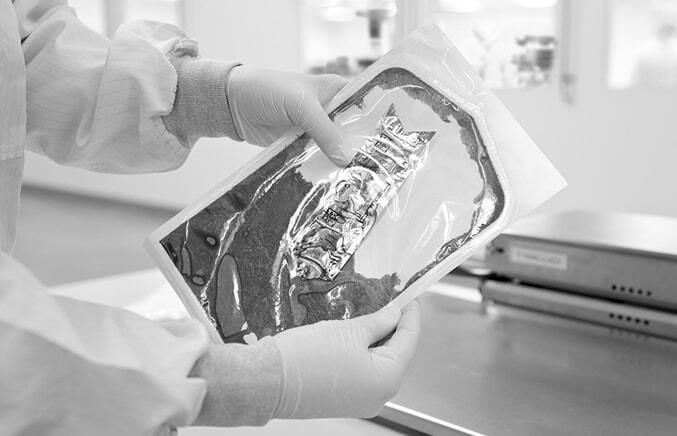 Our ISO-17025 accredited laboratory is ready to serve our medical device packaging customers. Let us help you get a solid start on your medical device packaging program. Our laboratory can provide a comprehensive machine calibration, a vital foundation for your installation qualification. Our advanced laboratory has even created our own patented technologies for evaluating medical device pouches. 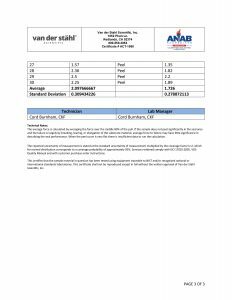 Keep your medical device packaging program compliant with calibration and laboratory services from Van der Stahl Scientific. 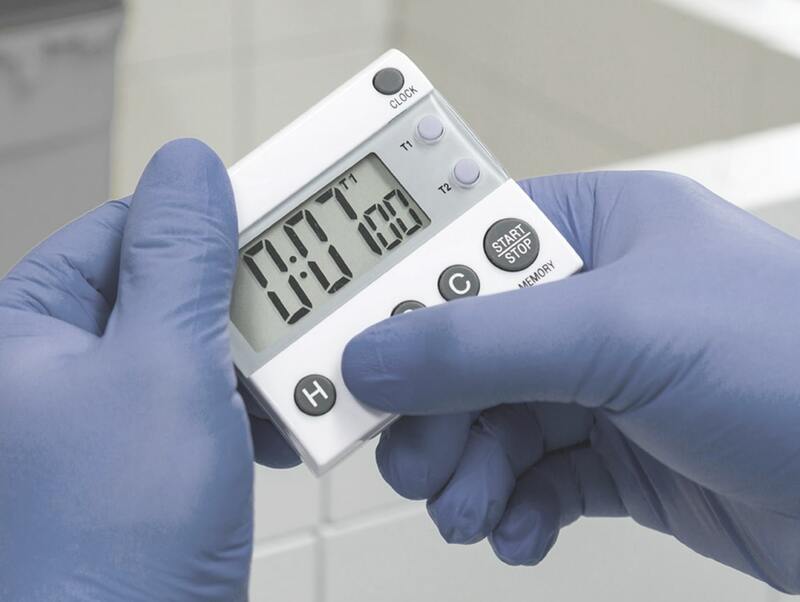 Let our competent staff of trained technicians perform a comprehensive calibration or let us evaluate the seal strength of your medical device pouch. Our sealers ship to you from our fully accredited ISO-17025 calibration laboratory. We perform temperature calibrations at multiple internal thermal zones for better accuracy. We also verify that the force is within spec or we perform a multi-zone force calibration on the force transducer. Our laboratory not only performs medical device pouch testing, we have actually invented and patented systems that we sell to our customers. We can provide pouch seal strength studies to help you develop nominal settings for your packaging machinery. 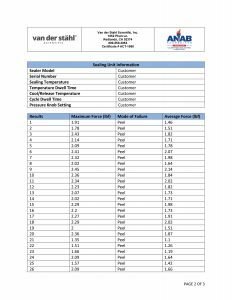 Count on Van der Stähl Scientific, we invent new ways to test. 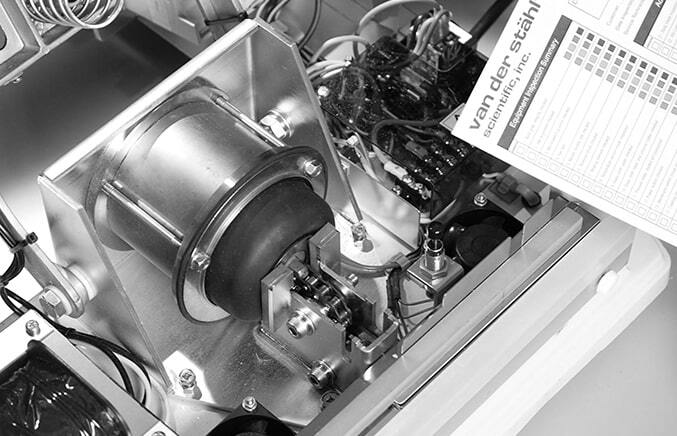 Our highly trained technicians can provide a complete service or repair on your packaging machinery. 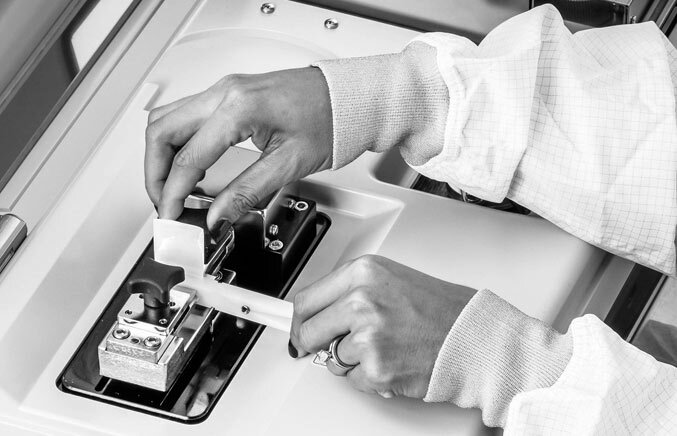 Every technician at Van der Stähl Scientific is certified in a quality system and understands the critical nature of a medical device packaging machine. Each machine returns with a complete work sheet for your records. 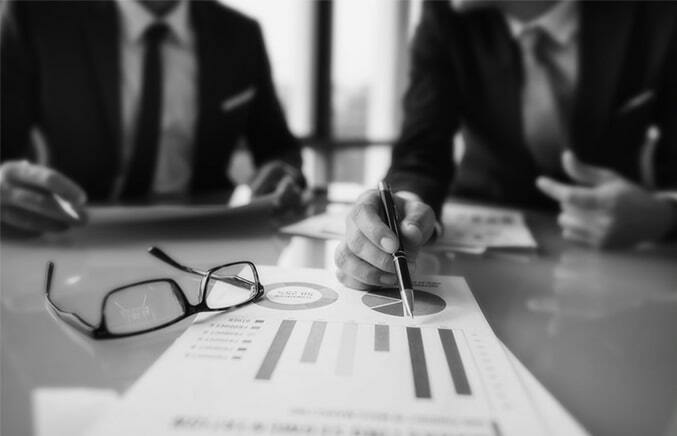 If you are a ISO 13485 medical device organization then your quality team is held to the highest standard in manufacturing. Partnering with vendors that are also ISO accredited is vital to your total quality plan. Why not begin your medical device packaging validation with a company that understands quality systems? Our ISO 17025 laboratory means we test, inspect and calibrate to ensure the highest quality standards for the machines we sell. When your customer list includes NASA and the Centers for Disease Control, absolute quality is paramount. We have developed and patented systems to help medical device manufacturers reach their goal of precision in sterile device packaging. Our ISO 17025 accredited laboratory upholds the highest requirements and principles under this rigorous and exacting quality system. Our accreditation is symbolic of our commitment to total quality. 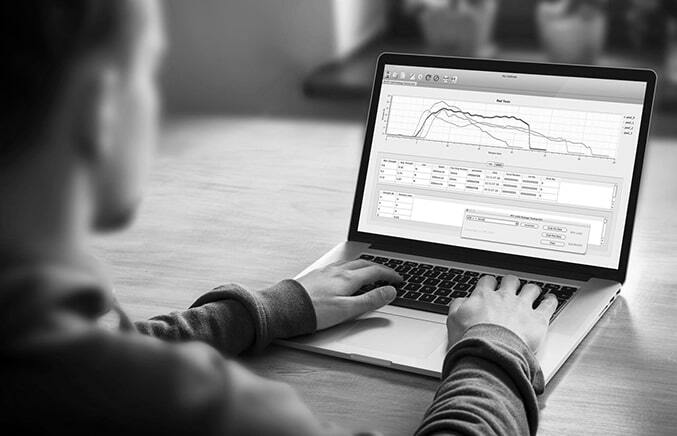 The best medical device packaging validations are built on a machine calibration that explores the usable range of thermal performance. 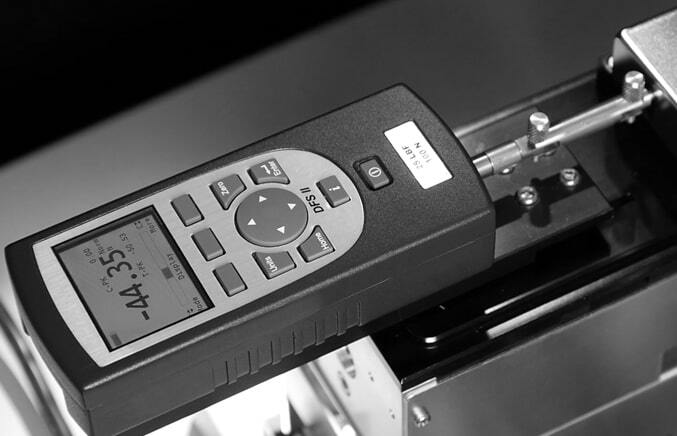 With our range calibration we will verify packaging machine compliance at 3 temperatures for a more complete calibration. When developing your DOE (design of experiments) it is vital that you understand the value of all measured attributes. With our laboratory developed system we can verify our machinery’s adherence to time set points. Understand all critical points for a stronger I.Q. The ASTM F-88 tensile test is still the workhorse standard for understanding medical device pouch seal strength. We will perform a 30 specimen study on your pouches expressing the data to a plot graph as well as a histogram for interpretation. This is the most important study we perform in our lab. Our founder comes from a surgical device background and understands the challenges facing medical device makers. Call and speak with our on-staff CPP and take advantage of all we have learned from over 20 years of sterile device packaging. Certified support from a team of professionals. A medical device validation is only as good as the verified documents that chronicle each step of the process. Our comprehensive support documents help you develop a needed audit trail for a medical packaging validation. Easy to understand and interpret, our documentation is just the support you need. The final step in maintenance is machine calibration. 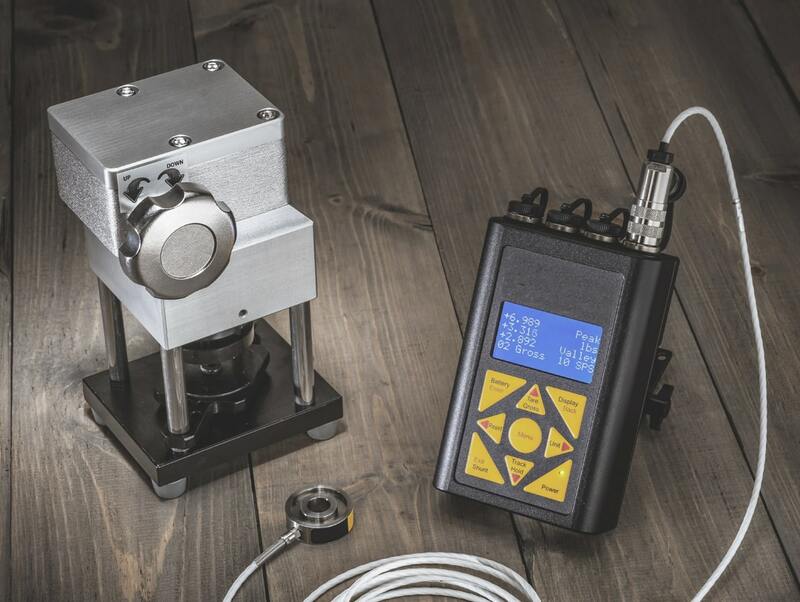 Our calibration training will demonstrate how to select the proper meters and tools for your unique sealing machine. You will learn from our highly trained senior technicians as they guide you through each step in the calibration process. If you have one of our pouch sealers, then this course is for you. We cover the full spectrum of maintenance issues from inspection to parts replacement and machine adjustments. With this course, you will also have full access to our online Calibration and Technician Certification course. 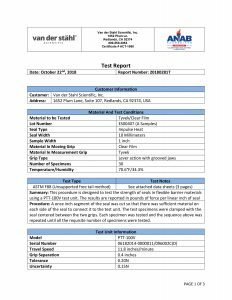 Under our ISO/IEC-17025 scope of accreditation we can now perform dye penetration studies using the ASTM 1929 standard. We will provide you with 2 Dye Penetration reports that include a technician’s summary as well as photographs of the study for your records and a better packaging validation. Now you can receive the same high level service and calibration we offer in our laboratory, right in your cleanroom. We can travel throughout the US and we typically offer single day service in Southern California. For our customers that want their services delivered onsite we are here to accommodate. Request a custom onsite quote today.